We’re very happy to announce that our impC001-US — the US/Canada version of our cellular hardware for our impCellular IoT connectivity service— has been PTCRB “end device” certified. This, in addition to its FCC/IC modular certifications and integrated SIM, means that customers do not need to perform any additional radio or carrier testing to ship their cellular connected products within the US & Canada – reducing risk and saving both tens of thousands of dollars and months of testing time. 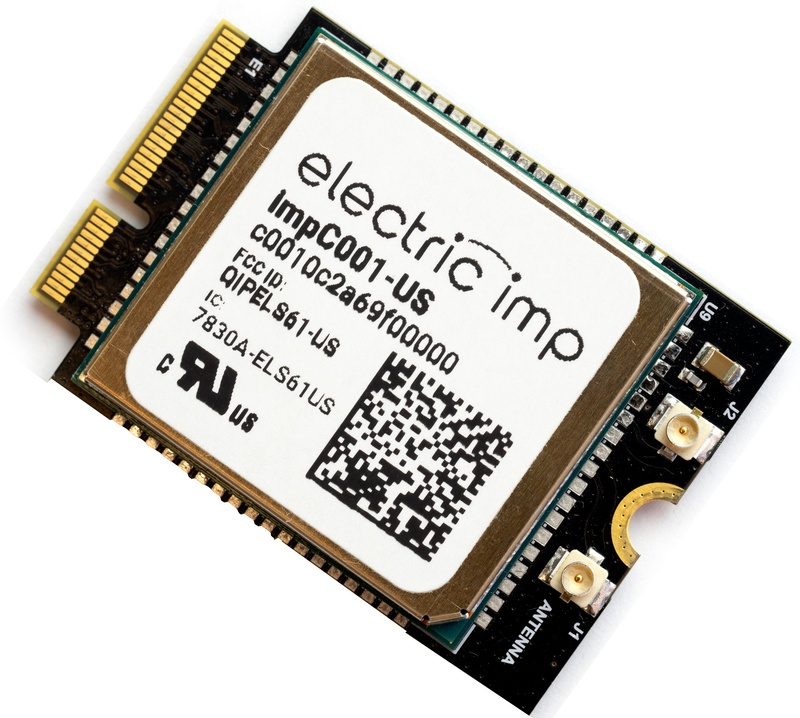 This is another example of how Electric Imp is simplifying the process for getting IoT devices securely connected over any network — and, for cellular devices, with their additional test requirements and often byzantine carrier rules, it’s a particularly important one. Whether you’re tracking goods as they ship cross country, connecting devices that can’t be served by WiFi or Ethernet – wind turbines, solar installations, vending machines or indeed any device where a network may not be available to use – you need cellular. It’s this recognition that drove us to develop impCellular as a comprehensive and easy-to-use solution for IoT connectivity. We’ve eliminated all the complexity of the “plumbing” so you can focus on the unique requirements of your application and getting your solution to market quickly and on budget. © 2019 Electric Imp, Inc.